Cheat Sheet Kitchen Apron « Gluttoner: You gonna eat that? Just because you’re the world’s most awesome chef doesn’t mean you have it all memorized. Sometimes you need to look up a measurement or conversion. 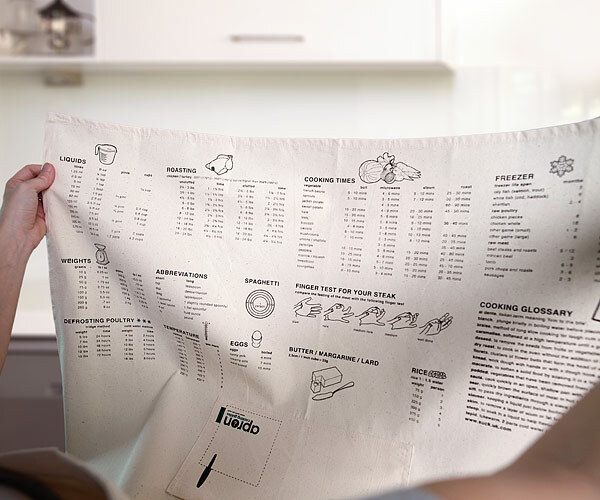 Make it easier on yourself with a Cheat Sheet Kitchen Apron. It’s 100% cotton and has all sorts of handy measurements and cooking times printed upside down on the bottom half so you can read it while wearing it. Seriously if there’s one thing all chef’s have in common is that they are drunk 99% of the time. With this apron even the most wasted of chefs will avoid mistakes and the chef can continue to marinate (himself in wine). It’s just that easy to be a top chef. Yes it is. 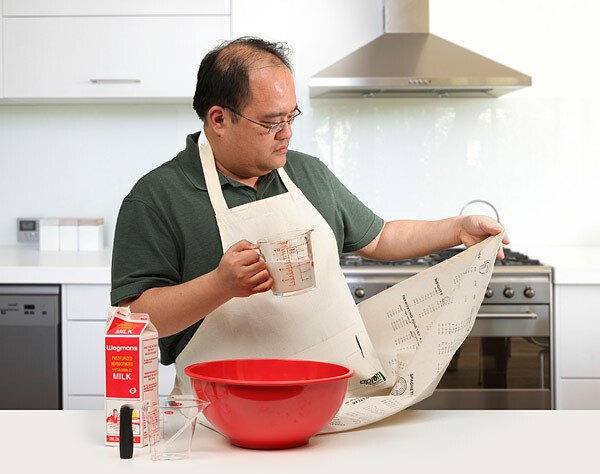 WHERE CAN I GET THIS CHEAT SHEET MEASUREMENT APRON AT???????????? ?